THE MEGA64 VINYL DOUBLE LP is up for pre-order now. So are the L-Block keychain plush and the super rare Shawn (Goth Variant) plush. Get your orders in now. Happy Cyber Monday. 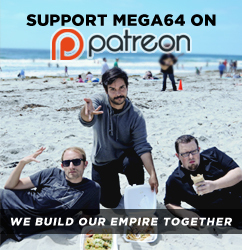 Come back tomorrow for a very digital Mega64 Podcast!